This city earned the nickname “Bombingham” after many attacks by racists during the struggles of the 1960s. Here is the story of the struggles and the infamous church bombing of Birmingham 1963–a story that has also been recently documented in Spike Lee’s powerful film Four Little Girls. It was 1963. One hundred years after the Emancipation Proclamation and the end of slavery, Birmingham was still a stronghold of racism and Jim Crow segregation. The city was a modern industrial powerhouse of coal and steel. It was run on behalf of the largest monopoly corporations by a hateful, narrow-minded white-racist powerstructure. Thirty-eight percent of the population was Black–living under infuriating conditions of discrimination and poverty. In Birmingham, like in most of the South, many white people still insultingly called adult Black people by their first names–and Black men were often casually called “boy.” Schools were segregated –and the education for Black children was starkly inferior and underfunded. This unjust setup was enforced by a brutal and racist police department and by the Ku Klux Klan movement, the semi-official terror arm of the powerstructure. Birmingham was already known for nighttime bombing attacks on the Black community by white supremacists. Birmingham had been like this for a long time, and many people thought it would never change. But this was 1963, and Black people were starting to feel deeply that time was up–been up!–for the structure and tradition of white supremacy. All across the South, and increasingly in the North, different organizing projects were mobilizing people to challenge and defy the system. And they would be met with all the brutality and deception that this system could muster. Rev. 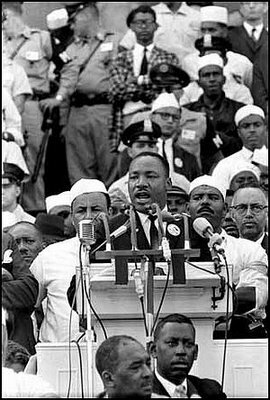 Martin Luther King Jr.’s Southern Christian Leadership Conference (SCLC) decided Birmingham would be their battlefield. This was a time of intense debate within the Civil Rights Movement and SCLC was being challenged by more militant tactics and strategies proposed by the Student Non-Violent Coordinating Committee (SNCC). SCLC’s plan was to showcase their approach in Birmingham by organizing economic boycotts of downtown businesses and nonviolent protest marches. They called this “Project C” for confrontation. SCLC was based in the Black churches of the South. In Birmingham SCLC set up its organizing center in the yellow-brick Sixteenth Street Baptist Church–on the edge of Kelly Ingram Park, right in the middle of Birmingham’s Black business district. The leaders of the campaign stayed at the Black-owned Gaston Motel. Starting on April 3, 1963, small squads of activists would leave the church and head for the downtown shopping district–picketing with signs, taking their seats at the “whites only” lunch counters and demanding to be served. In the beginning their numbers were very small. But hundreds of Black people started to gather in the park and along the streets to downtown–to watch, to shout support, to decide in their own minds whether to join up and risk everything. The local police department considered this movement dangerous and illegal. The FBI had just orchestrated a national media campaign charging that the civil rights movement was “communist-inspired”–saying that the organized challenge to white supremacy was threatening the whole social order of the U.S. The city’s police commissioner, Bull Connors, announced that he would mass cops within sight of the Sixteenth Street Baptist Church and simply arrest everyone who tried to march downtown. On the first mass march to downtown, April 6, all 50 people were jailed. The next day, the crowd grew to 600, and the police attacked viciously. Day after day, marchers would leave the church to confront the police and try to march. Night after night, the activists met for training workshops and mass meetings. The police department used clubs, K-9 dogs and the waterhoses of the fire department. They bragged that the city’s new firehoses could rip bricks from a wall and skin bark off a tree. They would drench the marchers and the crowds of onlookers–and then focus tight water spray on the front ranks. A local judge issued an injunction making any marches illegal–and giving the police the authority to arrest anyone who headed downtown. In the Alabama state capitol, the governor George Wallace rushed to write a new law that raised appeal bonds for misdemeanors from $300 to $2,500–but only in Birmingham. They intended to sweep the protesters into jail, and bankrupt the movement. On April 12, 50 people left the Sixteenth Street Baptist Church to defy the injunction. People lined the streets to watch. All 50 were arrested, including Reverend King who was thrown into solitary confinement. By May 1, after a month of repeated confrontations, 1,000 people were in jail or on bond. The mood was heavy–the police and the powerstructure seemed ruthless in their determination, and the organizers feared they may be facing a stalemate. At that point a powerful, unexpected force stepped forward. The movement took root among the city’s Black youth. Larger and larger numbers of kids had been skipping school and showing up at the organizing meetings. It started with the high school students–but soon there were kids from the grade schools too, demanding to be allowed to march. Some in the leadership believed that no one under 18 should be allowed to face the police. But the kids themselves were determined, and they were needed. FBI spies told the Birmingham police that leaflets in the Black high schools called for a walkout at noon on the coming Thursday. “Tall Paul,” the popular local disk jockey, started announcing a “big party” Thursday at Kelly Ingram Park. And everyone knew what that meant. The debate among the youth was intense. Many were forbidden by their parents to get involved. Many were told that getting arrested would ruin their lives, and that they should focus on getting an education. Some were told that the student activists were a “low class” of people–troublemakers led by outsiders. Thursday, May 2, was a hot, muggy day. Everyone around the Sixteenth Street Baptist Church could hear the singing of those inside. At 1 o’clock, the first 50 youth came marching out in pairs–singing, dancing, jubilant. 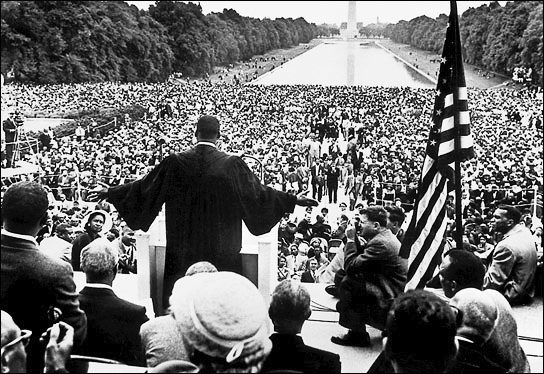 One observer said the anthem “We Shall Overcome” lost its slow, spiritual feel–their voices carried a fighting spirit. At least 1,000 youth gathered to face the cops. Many had lied to their parents. One police captain told how he tried to intimidate a group of 40 elementary school kids into going home. They stood their ground and told him straight–they knew what they were doing and would not back down. As the kids marched forward from the church, the firemen aimed the hoses of three firetrucks at the crowd and opened up. The front line wavered. Many were blasted backward down the street. A voice cried out, “Sing, children, sing!” And the crowd pressed forward into the spray. The police started hauling off the kids. They filled paddy wagons and squad cars, while the youth kept pressing forward, looking for a hole in the police lines, looking for a way to go downtown. In the end the police had to bring up school buses. Six hundred children and teenagers were hauled off to jail. Three teenagers were hospitalized from dogbites, while an unknown number were treated in people’s homes. The local press denounced the movement for allowing children onto the frontlines. But, by the next day, the whole world had seen the hateful face of Bull Connors, and knew from TV and newspapers that in the United States police dogs were used to attack Black children. The next day, the youth were back again. Many stepped forward to replace those arrested or hurt. Again a thousand youth faced the firehoses and police dogs. The water blasted at 60 in the first ranks, and 50 were washed away–some even getting wedged underneath parked cars. Ten managed to hold their ground, soaked and singing the word “Freedom” to the tune of the hymn Amen. The firemen concentrated their hoses on them–as more people pressed forward. The crowd sat down on the street to stabilize themselves and would not move. One man looked out of his nearby office window and saw a small Black girl literally tumbled down the street in blasts of water. Ashamed, he swore he would not be a bystander anymore. Some among the youth broke with the leading doctrine of nonviolence. They took up rocks against the firemen and police. Their counterattack stunned and pinned down the authorities long enough for a large part of the youth to break through the encirclement and make it downtown. On Monday, May 6, the youth did it again. By the end of that day, there were over 2,000 demonstrators in jail. The masses themselves were now deeply committed. Police now faced rocks and bottles when they dared patrol the Black communities. Adults stepped forward to support the youth, and some of them reportedly came to the rallies armed with guns. Meanwhile, the struggle in Birmingham had won worldwide attention, and supporters were arriving from all over the country to stand with the heroic youth. There was intense worry at the highest levels of the U.S. government. The White House sent a representative to Birmingham to meet with the local ruling class. Representatives of the major monopoly corporations in town–Ford, Royal Crown Cola, and U.S. Steel–had a semi-official ruling council with local bankers and merchants called the “Big Mules” (officially listed as the “Senior Citizens Committee”). Seventy of the “Big Mules” met in downtown Birmingham to decide what to do. Their initial plan was to call for martial law, bring in troops, and start shooting the people if necessary. While they discussed this plan, 600 highly organized pickets suddenly appeared in the heart of the business district, stopping traffic and business as usual. One estimate said that 3,000 people were involved in running engagements with the cops throughout the city. It suddenly occurred to these “Big Mules” that even troops might not be able to enforce their old order for long. They took the White House advice and decided to grant concessions–though the idea of negotiating with Black protest leaders made them furious. Two days later, after secret negotiations, it was announced that there would be desegregation of lunch counters, restrooms, department store fitting rooms and drinking fountains within 90 days. Arrangements were made to release all of those arrested. The struggle had forced a historic victory from the oppressors. However, the battle of Birmingham was far from over. Powerful forces in the local powerstructure announced plans for a racist boycott of downtown stores to oppose integration–saying that white people should refuse to eat or try on clothes next to Black people. The Ku Klux Klan stepped out and held a rally on the outskirts of town on May 11. As the Kluckers saluted their flaming crosses, there were calls for action. 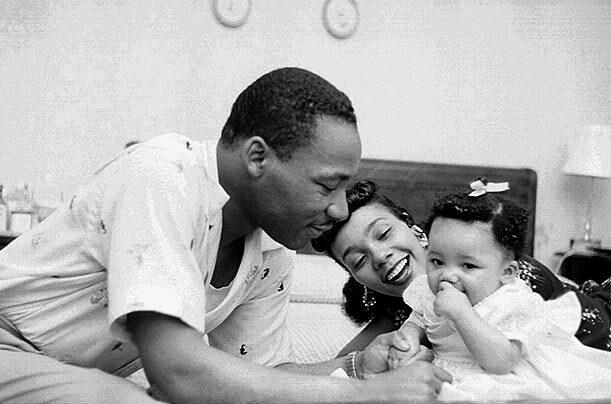 That night two bombs blasted the home of Reverend A.D. King, brother of Dr. Martin Luther King Jr. Less than an hour later, a bomb rocked the Gaston Motel. The racist forces had counterattacked by threatening the leaders of the movement. As news spread, thousands of Black people took to the streets and drove the police out of the Black parts of town. Police cars were trashed, and several cops were injured. Late into the night, the shouts rang out “Freedom! Freedom NOW!” as flames rose 150 feet in the air. The ruling class moved on many levels to contain this explosion of struggle. President Kennedy ordered federal troops to the outskirts of Birmingham–directly threatening the masses of people with armed suppression. At the same time, the system also offered new concessions to the people–a new Civil Rights Act started moving more rapidly through Congress that mandated equal rights in public accommodations (like rest rooms, motels, restaurants and drinking fountains) and gave the Attorney General more powers to sue states over nakedly discriminatory laws and practices. 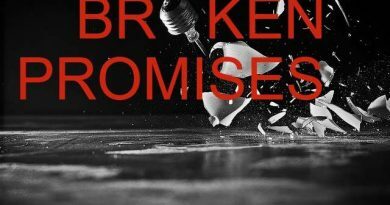 Meanwhile, in June and July, new struggles broke out in cities across the U.S.–often copying techniques developed in Birmingham. In Mississippi, the racist assassins struck again. Medgar Evers, leader of the civil rights movement in Jackson, was murdered. All during these months, the ruling class worked to strengthen its ties and influence within the civil rights movement itself. President Kennedy held meetings with various leaders within the movement–working to promote those leaders most loyal to the system, including Martin Luther King Jr. Plans were cooked up to use the August March on Washington to consolidate the mushrooming movement under a moderate program and tighter ruling class political control. Another bombing hit the home of an activist, touching off another long night of resistance. By now the police had a riot tank to send against the people. One Black person was killed. Governor Wallace proposed that the schools scheduled for integration should simply be shut down. And when September 9 came, he sent national guard troops to prevent the Black kids from attending the schools. President Kennedy announced federal authority over the troops and withdrew them from Birmingham. The Black kids walked into the formerly white schools. That Sunday, September 15, inside the Sixteenth Street Baptist Church, four young girls had snuck out of bible class and were talking in the basement ladies room. They were dressed in white from head to toe because this was the church’s annual Youth Day and they had a special role in the 11 o’clock service. Suddenly a blast shook the building, and showered everyone inside with debris. The air filled with shouts, then moans, then sirens. Maxine McNair searched desperately for her daughter. She found her father crying in the rubble. “She’s dead, baby,” he said, “I’ve got one of her shoes.” Looking at the horror on his daughter’s face made him yell out, “I’d like to blow this whole town up.” Ten-year-old Sarah Collins staggered out of the hole in the outer wall. She was partially blinded, and bleeding from her nose and ears. Twenty others had been injured and were taken to the University Hospital. In the ruins of the church basement, the four girls in white were found dead: Denise McNair, Cynthia Wesley, Addie Mae Collins and Carol Robertson–ages 11 to 14. The brutal bombing of the Birmingham movement’s headquarters was intended to terrify people–but it had the opposite effect. The sad news spread like a shockwave and electrified people. After seeing firehoses and police dogs, people all over the world now had even more proof of the heartlessness of those defending segregation. With this bombing and the killing of the four girls, many people felt an intense connection with this struggle against injustice. Many decided that they could no longer hold back. Over the next year, many student volunteers–both Black and white–signed up with SNCC to take the message of the movement into the most repressive counties of Mississippi. It was widely known in Birmingham who had done the bombing. Certainly it was known by the FBI who had close ties and operatives at all levels of the Klan. The bombing had been carried out by a team of white racists, including Robert Chamblis whose nickname was “Dynamite Bob.” But the powerstructure protected these men–as it always had. That too was a lesson for people watching the Birmingham events. Chamblis didn’t come to trial until 1977 and his accomplices were never tried. This was a shocking message for many. It certainly ran directly counter to the direction the ruling class proposed for the civil rights movement. But Malcolm’s militant views reflected the hard experiences of the struggle. In Louisiana the “Deacons for Self Defense” were formed–to act as armed defense squads to the larger civil rights movement. In many other places in the country, activists started studying new philosophies and revolutionary ideologies. Birmingham, Alabama 1963–the powerstructure tried to stop change. They used their police, their waterhoses and their dogs. When that didn’t work, they unleashed their hidden networks of racist bombers to kill four young girls in the Sixteenth Street Baptist Church. History shows that the cowardly brutality of these men could not stop the just struggle of Black people–and it certainly could not dampen the militancy and visionary courage of the youth which then, in 1963, was just starting to show its power. King was awarded at least fifty honorary degrees from colleges and universities in the U.S. and elsewhere. Besides winning the 1964 Nobel Peace Prize, in 1965 King was awarded the American Liberties Medallion by the American Jewish Committee for his “exceptional advancement of the principles of human liberty”. 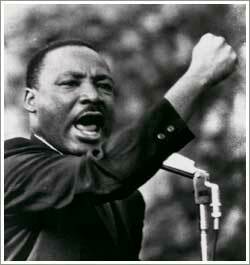 Reverend King said in his acceptance remarks, “Freedom is one thing. You have it all or you are not free”. King was also awarded the Pacem in Terris Award, named after a 1963 encyclical letter by Pope John XXIII calling for all people to strive for peace. 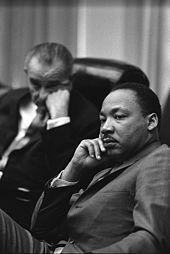 In 1966, the Planned Parenthood Federation of America awarded King the Margaret Sanger Award for “his courageous resistance to bigotry and his lifelong dedication to the advancement of social justice and human dignity.” King was posthumously awarded the Marcus Garvey Prize for Human Rights by Jamaica in 1968. In 1971, King was posthumously awarded the Grammy Award for Best Spoken Word Album for his Why I Oppose the War in Vietnam. Six years later, the Presidential Medal of Freedom was awarded to King by Jimmy Carter.King and his wife were also awarded the Congressional Gold Medal in 2004. 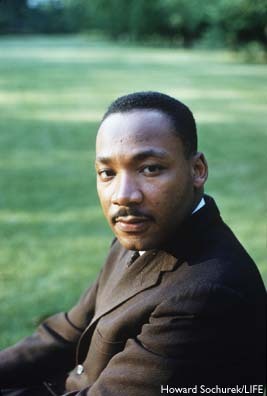 King was second in Gallup’s List of Widely Admired People in the 20th century. 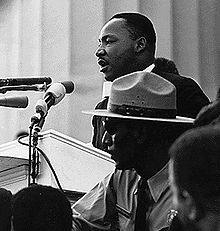 In 1963 King was named Time Person of the Year and in 2000, King was voted sixth in the Person of the Century poll by the same magazine.King was elected third in the Greatest American contest conducted by the Discovery Channel and AOL. 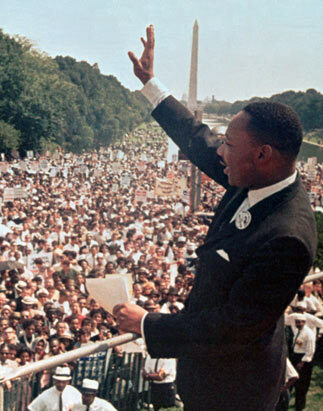 More than 730 cities in the United States have streets named after King. King County, Washington rededicated its name in his honor in 1986, and changed its logo to an image of his face in 2007. The city government center in Harrisburg, Pennsylvania, is named in honor of King.King is remembered as a martyr by the Episcopal Church in the United States of America (feast day April 4) and the Evangelical Lutheran Church in America (feast day January 15). 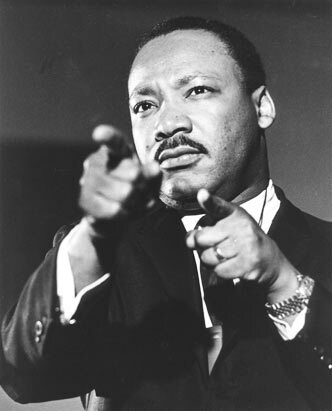 In 2002, scholar Molefi Kete Asante listed Martin Luther King, Jr. on his list of 100 Greatest African Americans. 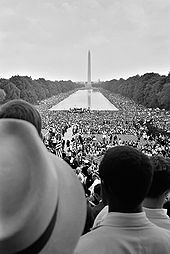 Lincoln Memorial during the 1963 March on Washington for Jobs and Freedom. 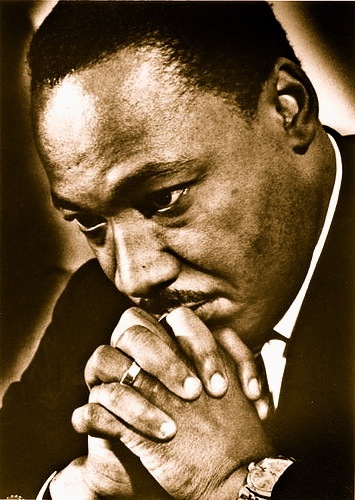 Now, today Martin Luther King, Jr. and history is pointing at us saying, “What about you?, will you stand up for the right things?, will you stand up for God’s righteousness?